Since I was a kid, I’ve always loved anything that’s in bright vivid colors and growing up in the 80s and 90s, when “More is more” very much the mantra in the fashion scene and glammed-up supermodels reigned supreme, of course Gianni Versace was one of the designer who inspired me to perused fashion design as an carrier. I am sure all of the fashonistas remembered the super talented designer Gianni Versace! Whom dominated the late 80s and early 90s fashion world by storm with his vibrant, colorful & daring designs that has set himself apart from the rest of the designers & lured us into his fashion fantasy world till he was tragically allegedly killed by his casual encounter Andrew Cunanan. After Gianni’s death, his sister Donatella Versace had shown strong courage to take over this fashion empire and continued his late brother’s legacy and successfully brought the company to another level of glamour & style that we all love today! Donatella Versace (born May 2, 1955) is an Italian fashion designer, as was her brother, the late Gianni Versace, the founder of the Versace clothing brand. Her current title is Vice-President of the Versace Group and Chief Designer of the fashion line. She owns 20 percent of the entire stock market assets of Versace. Her brother, Santo Versace, owns 30 percent. 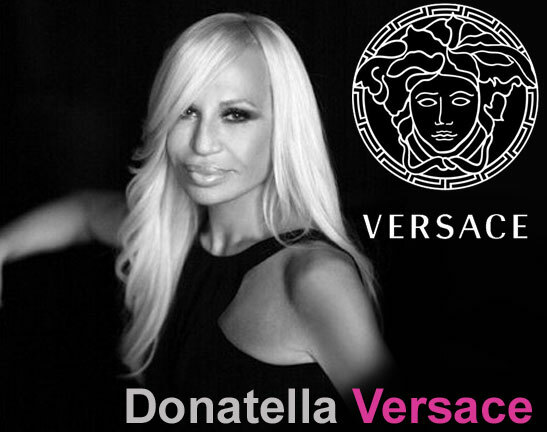 Donatella's daughter Allegra Versace inherited 50% of the company stock after Gianni Versace died. 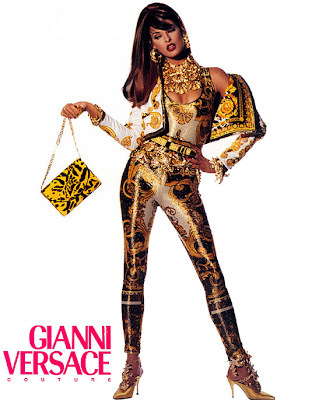 Versace was one of the 1st fashion house that’s responsible for the early 90s “Supermodels” phenomenon! & paid each supermodels $10,000 per show, back in the days that’s a record high price for a 30 minutes show! This plunging deep V-Neck Versace dress skyrocketed Jennifer Lopez's career & capture the world's attention! OMG! can this dress be anymore FABULOUS?! We Love J-Lo & Versace! Donatella, thank you for carrying on your late brother Gianni's work and his company so we can continue to enjoy and admire Versace’s fabulous creations season after season! And YOU GO GIRL! Donatella! It’s not easy to be on the 24/7 non-stop Glamazon! It's a hard work but someone's gotta do it right?! Here is a video to walk down the memory lane of Versace’s 1992 fashion show features ALL the top supermodels …. Ah the golden era of fashion in the early 90s !